Belt buckles: they help keep your pants up. Some people also use them to express themselves. Other people use them to support their heavy drinking habits. 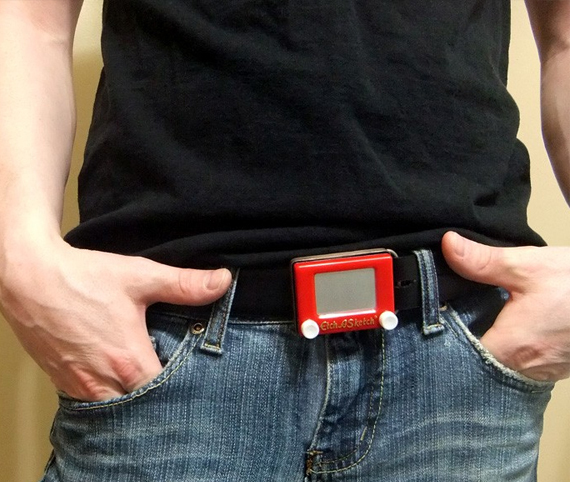 This is the Play Time Belt Buckle, an Etch-A-Sketch Belt Buckle made by Etsy seller If Industries. So I guess this is for the type of person who wants their belt buckle to… entertain others? Entice bored people with the promise of good, clean fun when, in reality, they would be inches from your privates? Whatever the reason, it looks like a fun time! I’m not sure it’s a big enough Etch-A-Sketch to actually create any kind of masterpiece, but maybe that’s just me projecting my own ineptitude.